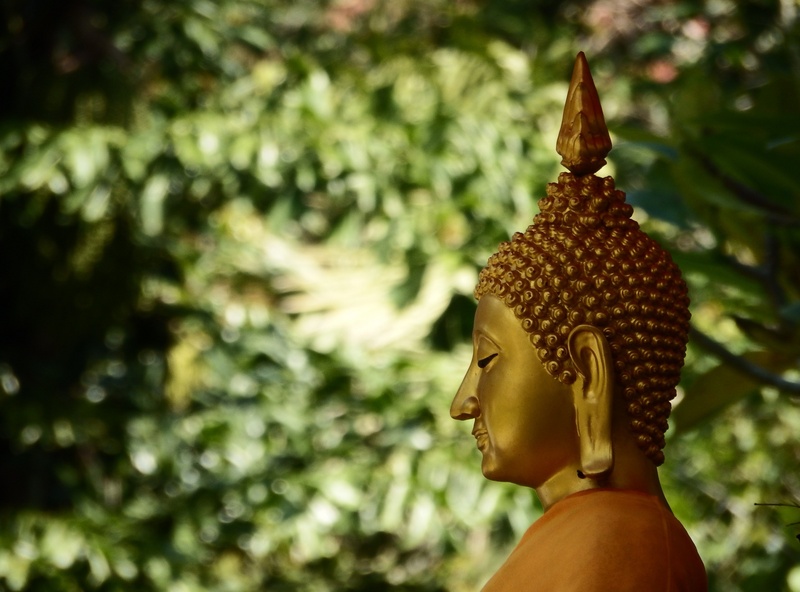 Thailand is often referred to as "The Land of Buddhism", the best country in the world for those looking to study the teachings of the Buddha, at least the Theravada branch of the teachings. Thailand's reputation as the center of Buddhism is well renowned, with numerous people from all over the world often times coming to Thailand and even learning Thai so that they can study Buddhism there. Buddhism is so revered in Thai culture that it is considered a tradition for Thai men to become monks at one point in their lives, even for a short period of time. Temples are considered sacred ground, with it being a taboo in Thailand to do any unwholesome acts on temple property. Land of Buddhism or not, Buddhism in Thailand has not been free from secular politics, and Thai Buddhism has faced quite a few upheavals in modern times. Some monks have even become very active in Thai politics, political activist monk Buddha Issara was a key leader in the anti-government protests of 2014. The emergence of political involvement by members of the Buddhist clergy, a controversy over the succession of Thailand's top monastic position, and of course the highly publicized case with the abbot of Wat Phra Dhammakaya have put the intricacies involved with Thai Buddhism into the light. 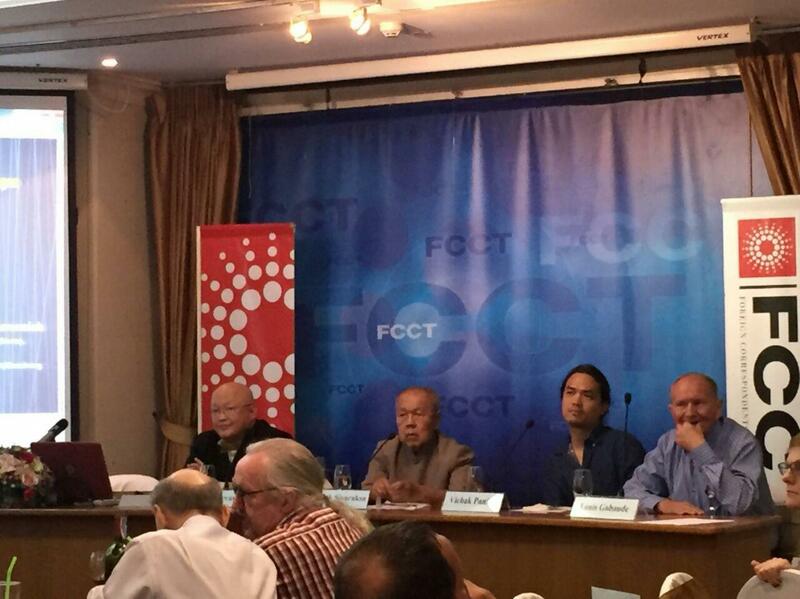 On Wednesday June 22nd, 2016 the Foreign Correspondents Club of Thailand held a panel on the topic of the Politics of Thai Buddhism that conveys much valuable insight into the complicated nature of Thai Buddhism. One point brought up about Buddhism in Thailand by Vichak Panich, one of the panel speakers, was that Thailand has a two-tiered system of religious organization, with monks on top and lay people on the bottom. This of course, is not something unique to Thailand, as Buddhist monastics are considered part of the revered Triple Gem, the most respected aspect of Buddhism. Regardless, due to Thailand's strong Buddhist culture and reverence for Buddhism, this aspect is notably strong in Thailand. Thai culture as a whole puts monks on a pedestal, almost like a noble class. Many Thais do not just highly respect monks, but are afraid to do anything malign to monks for the most part, in fear of karmic consequences. Monks are also governed for the most part by their own laws, led by the Sangha Council of Thailand, and anything involving monastic misconduct is usually dealt with by the Sangha Council rather than secular authorities. It should be noted the Sangha Council system exists in other Buddhist countries also however. This tier system even applies to certain aspects of criminal investigations, as Thai law gives special privileges that make it so royalty, diplomats, and monks cannot be summoned by law enforcement as witnesses, only requested. Another interesting point brought up by Panich was that there are considered to be essentially 3 ways to practice Buddhism in Thailand: forest renunciation, settled monasticism, and the lay life. I don't agree 100% with Panich's analysis, but that is just my personal opinion and I think he still brings up some good points. As Panich explains, the forest tradition, is the most immersive practice of the Dhamma. Forest monks renunciate the world and focus on very strict asceticism. They give up most modern amenities and focus largely on strict Dhamma practice and mental cultivation. The lay life of Thai Buddhism focuses on living ethically in the worldly life. While it is okay to enjoy the conveniences and joys of the material world, one should live ethically and not cause suffering to others. Lay people should also still be mindful of the law of impermanence and that all things must come to an end. The key to true happiness comes from within, through personal practice, not through material enjoyment. The last way of practice is what Panich calls "settled monasticism". The path of entering monkhood but not the forest. Becoming a city monk is what Panich calls a middle path between the Dhamma and worldly life. City monks still take on the 227 precepts and the vows of the entering the Sangha, but do not engage in as much asceticism as forest monks and still have a few modern conveniences such as cell phones to handle daily tasks. Monks having technology is not unique to Thailand just so you know. Settled monastics live more integrated with society, and while they still put Dhamma practice at the front of their life, they still deal with some daily tasks laypeople might deal with that forest monks wouldn't. While this isn't true in every case, forest monks can usually be identified with darker colored robes while city monks will usually have brighter colored robes. Another shakeup Thailand is dealing with is the succession of the Supreme Patriarch, the leader of the Sangha Council. While the Thai Sangha Council did unanimously agree on a nominee for the new Supreme Patriarch, there has been controversy over the decision, as Thai law requires both the council and secular government agree on the nominee. The leading candidate was not approved by the secular government and the position appointment has been held up in gridlock for about two years. And of course, no discussion on the current state of Buddhism in Thailand is complete without a mention of Wat Phra Dhammakaya. The temple has been shrouded in controversy for quite some time as many criticize the temple's unorthodox practices. Some say the temple is unBuddhist, others say it is modern. 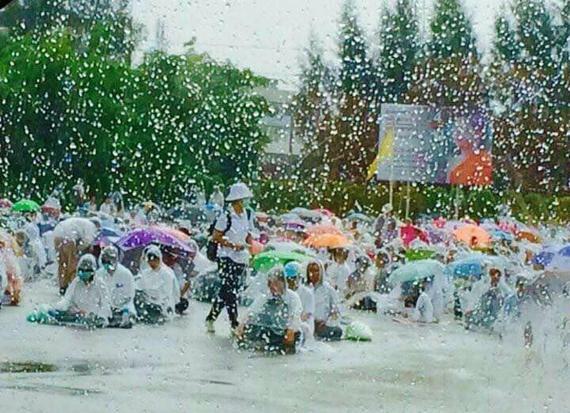 The ongoing case focusing on Dhammakaya has served as not just a legal case, but as a proxy war among those who support the temple, and those who oppose it. Many longtime opponents of the temple see the divisive case as the key to bringing down the massive yet controversial temple they so staunchly oppose. On the other end, faithful followers are doing all they can to protect the abbot, including blocking an attempt by DSI to arrest the Dhammakaya abbot. US based devotees even made a White House Petition, and a US Congressman recently visited a US Dhammakaya branch in early June to discuss the case. A large part of why Venerable Dhammajayo supporters' are so stern to defend the abbot has to do with the Thai legal code toward monks. Thai law requires that monks be forcibly disrobed if jailed before trial. Even if found innocent at trial, Buddhist monastic code will require Venerable Dhammajayo to start as a brand new monk and lose all seniority if he were to ordain again after being disrobed. The Buddhist monastic code requires 5 years seniority before a monk can be an abbot. The justice minister has made statements about disrobing the Dhammakaya abbot, which has made many followers suspicious. As two of the four speakers of the panel were very well known anti-Dhammakaya critics, Dhammakaya followers were not pleased with the portrayal of the temple in the panel. A response from Dhammakaya followers about the panel can be found here.